Attention: Women Ready to Stop Putting So Much Pressure On Yourself! Cleanse your Mind of self-sabotaging thoughts and choices and replace them with self-empowering ones instead! FREE yourself of the pressure to do and be it all and allow yourself FULL permission to do what makes YOU happy! 6 TOXIC HABITS ... 6 SELF-LOVE ANTIDOTES... ONE PER WEEK FOR 6 WEEKS! We were wondering, does this sound familiar? “YOU SHOULD BE ABLE TO GET MORE DONE IN A DAY!" “SHOULDN'T YOU BE FARTHER ALONG BY NOW??" This is the voice of your INNER Mean Girl. She’s negative. She’s catty. She’s judgmental. She compares your worst to everyone else’s best. She drives you to bully yourself, making you feel small, inadequate, and stressed out! And, we’ve got news for you: Your Inner Mean Girl is a liar! She’s slowing you down, running you ragged, and keeping you from your bigger dreams, your peace of mind, and your day to day happiness. And wait… get this… you are the one feeding her the fuel that keeps her going! These are the self-sabotaging TOXIC habits of your INNER Mean Girl. She feeds off these toxins, and as a result creates really nasty habits that make you feel like crap about yourself, your life, your achievements (or lack of), your body, your relationships… everything really. And we know, in today’s world it’s hard to keep the toxicity away. That’s why we here at Inner Mean Girl Reform School have banded together with women around the world, to convene a world-wide INNER Mean Girl Cleanse, and you are invited! Over 15,369 women on 6 continents have already taken this cleanse, and have experienced big shifts. Now it’s your turn! Let’s face it, giving up anything, even when you know it’s bad for you, is WAY easier when you have a tribe supporting you! Through our work with women around the world, we’ve identified the 6 most self-sabotaging habits your Inner Mean Girl uses – and the corresponding self-empowering and self-loving habits your Inner Wisdom can use to beat her every time! And best of all, you will integrate these habits into your daily rhythm without having to put another to-do on your list. How does the 40-Day Cleanse Work? EACH WEEK YOU GIVE UP ONE TOXIC HABIT AND REPLACE IT WITH NEW SELF-EMPOWERING HABITS. By the end of this 40-day cleanse, you’ll have learned how to transform 6 toxic habits and act in ways that actually FEEL GOOD! Following this easy to participate in program that does most of the work for you. TO BEGIN THE WEEK... YOU'LL RELEASE ONE TOXIC HABIT EACH WEEK: You’ll receive a super-powered video from us to you, sharing our best self-love antidotes for the specific toxic habit of the week. We will tell you EXACTLY how to start making the shift from the toxic self-sabotaging action to one that gives you the outcome you want. You’ll be able to download and listen to this video from anywhere, including an audio if that’s easier, from your computer, tablet, phone, while taking on that week’s toxic habit. DURING THE WEEK... YOU’LL PRACTICE THE SELF-LOVE ANTIDOTES WE PRESCRIBE, with a SPECIFIC DAILY PRACTICE YOU WILL LOVE (short, simple but mighty!) During your day to day life, you’ll start noticing the self-sabotaging actions and thoughts more, some you may not even be aware of, but now you’ll have the power to shift your actions. And start making different choices. ABOUT HALF WAY THROUGH THE WEEK you’ll receive an enlightening call with one of our guest “Wisdom Makers” – we found the best of the best teachers for each of the specific toxins and asked them to share their transformational tools with you. You’ll receive an audio of this conversation, and leave the call with specific tools you can use to change your actions and thoughts in the moment. Receive daily doses of wisdom to activate your INNER WISDOM (chief enemy of the Inner Mean Girl). 40-day practices work because we stick with you for the full 40-days making you stick with this cleanse for 40-days, EVERYDAY! So in addition to your weekly video, antidote and enlightening Wisdom Maker call, we’ll be dropping into your inbox with short “Wisdom Boosts” to keep you inspired and on track, more deeply connecting with your Inner Wisdom, reminding you that your choice to take this cleanse really matters to you and your happiness. You never know what you’ll receive – could be a meditation, a quote, a self-love dare, a love note, an inspirational photo, but that is all part of the surprise. You can just count on us to be there EVERYDAY for 40-days supporting you, encouraging your Inner Wisdom to make your choices for you. People tell us that after completing one of these 40-day practices, they MISS our daily messages. Join others who have said, YES! to reforming their Inner Mean Girls – our online community site where you can get support from other women and our Inner Wisdom coaches. Over 22,369 women have taken one of our courses at Inner Mean Girl Reform School, and those students that are currently enrolled in the 40-day Cleanse or Inner Mean Girl Reform School, or have graduated from one of these, get lifetime access to our online Facebook community. Which is also where you will go during the cleanse to get support, share, and be part of this revolutionary sisterhood. Access to everything online, whenever you want it. Everything—the videos, the audios —are posted online so you can download them anytime. PLUS … You’ll also be able to repeat this cleanse whenever you want! LIFETIME ACCESS! We’ve created this experience so that you can stay committed to your promise to yourself. That’s the power of the 40-day self-love practice. Why 40-days? Why this 40-day self-love practice? Yogis, brain scientists and metaphysicists all agree that if you can do anything for 40 days you can transform self-sabotaging patterns, behaviors and beliefs into new habits that are actually good for you—ones that create the happiness, peace, love and freedom you work so hard for. FIRST… Over the course of 40-days, you become AWARE of behaviors, thoughts and patterns that have been getting in your way, causing you to do self-sabotaging things like compare, criticize and judge yourself, like sell yourself out because you feel obligated or guilty, or like do or say things that distance yourself from closer connection to more awesome relationships. THEN… As you begin to see how you are creating your own misery and limitation, you begin to REFLECT and see that you could actually make different choices (that’s where the self-love antidotes come in handy). And so in moments when your Inner Mean Girl attempts to compare you, judge you, pit you against others, drive you to exhaustion and perfection, you start seeing you could make different choices. AND THEN… somewhere around day 28-31, your brain changes, your Inner Mean Girls loosen their grips, you become able to CHOOSE BETTER CHOICES IN THE MOMENT. And by Day 40 you can find new insights and trust new ways of being. because of the power of 40-days, together, SHIFT HAPPENS! You can’t do it alone, None of us can. DAY 1-7: Give Up Gossip. You’ll be surprised about what Gossip really is… most women think they don’t really do it, but when you hear the REAL definition of gossip you’ll see how it’s costing you energy, connection and a sense of peace about yourself and the world. DAY 8-14: Give Up Comparison. Imagine what it would be like to stop judging your achievements, body, finances, relationship status, based on the perceptions you have of other people. How much happier could you be if you never let what you saw in someone else make you feel bad about yourself. Stop making yourself feel like you are falling behind or failing based on someone else’s achievements, reality, situation, or genes. 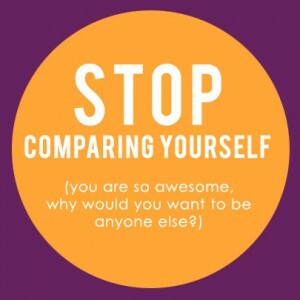 Learn what to do when you begin comparing yourself, so that you can use the situation to give yourself permission to do, say and be the things you’ve been holding back on. Learn how to turn the isolation, disconnection and despair you feel when you compare yourself to more connection with really great people – you will start making friends with the most spectacular women and men! DAY 15-21: Give Up Obligation. Imagine if you could stop doing things out of a sense of obligation or guilt, if you could say NO without apology. If you could take a stand for YOU getting what you need! Stop 'should’ing' all over yourself! Stop making choices because you feel like you ‘have to’ and make a pact with yourself to only do what you ‘want to’. Transform feelings of being resentful, overwhelmed, and irritated into actions that create more love for yourself and others. Stop taking on tasks, projects and people that you don't really want to, without feeling guilty. Learn to give up choices that make you suffer or cause you to sacrifice and act from a commitment to yourself. DAY 22-28: Give Up Judgment, Of Yourself and Others. Imagine how much more energy you would have to focus on what’s really important to you, if you could spend less time seeing what’s wrong with you and others, and more time being the compassionate, happy soul you are. Stop being so hard on yourself and the people around you and start opening up your heart. Feel more connected to the people in your life, including yourself. Learn how to transform judgments when they come into your mind into thoughts that can actually help you create happiness. Create more soulful connections with the people in your life – especially other women – by removing the judgment blocks. DAY 29-35: Give Up Unrealistic Expectations & Striving For Perfection. 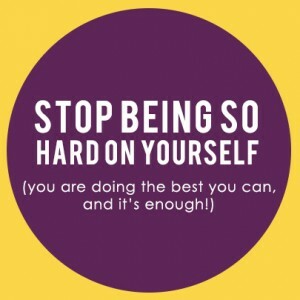 Stop setting the bar so high to do and achieve so much, and stop striving for perfection – PLEASE! – and start setting yourself up for success. 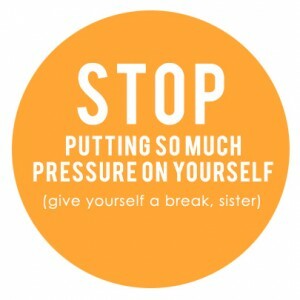 Stop putting so much pressure on yourself, and start giving yourself a break! Learn to start UNDER promising and OVER delivering, and actually get more accomplished. Take a stand to lower your standards and as a result have more space to do what you love. Send your Achievement Junkie and Perfectionist Patty on vacation and get to the root of why you drive yourself so hard, or never seem happy no matter how much you do or achieve. Clear your mind and subconscious of fear, lack and feeling like you aren’t enough. Get smart about how the images around you are filling your mind with fear and doubt and how your subconscious is being programmed to make you believe in lack, and scarcity. Take a stand to surround yourself with stories and images that make you feel supported and abundant. Imagine what your life would be like if you chose to make your decisions and create your life from knowing YOU ARE ENOUGH. THESE WISDOM MAKERS TELL ALL! We’ve hand-picked these Wisdom Makers —empowered, internationally-known superstars who will share their secrets with you. They’ve busted through the self-defeating habits of their Inner Mean Girls (and Dudes) in their own lives. They’ve literally taken the steps to cleanse their minds of self-sabotaging thoughts! They have created SUCCESS-FULL & JOY-FULL lives using super powered tools they will share with you. Co-Creator of the Feminine Power transformative courses & Ph.d.
Do You Know What The Media is Making You Believe About Yourself? imagine how much happier you will be! This week has totally helped me bring awareness to the different forms of gossip and the fact that I still gossip more than I thought I did, particularly in the way I "gossip/complain" about my daughter and my mate. It was interesting how often I felt drained and low after making those types of statements rather than feeling better. I am definitely trying my best to help shift the conversation or choose to leave altogether, so I can keep my energy high, and myself feeling good. Giving up Comparison was definitely a challenge for my Inner Mean Girl, but I really have been more conscious about my thoughts and they have taken a turn for the positive! A wonderful side effect of appreciating others and having more gratitude for myself! We were called to offer this 40-day adventure into cleansing your mind, body and spirit of all these REALLY toxic habits that most every woman we know suffers from because we know how much energy they take away from your purpose, peace of mind and happiness … and we also know what’s possible when you have the tools to TRANSFORM these toxic habits into self-loving actions. At some point during your self love journey, you must be willing to stand so fiercely for your own happiness that you say NO to Comparing yourself to others... NO to beating yourself up… NO to criticizing and judging yourself… NO to acting out of guilt, obligation and fear. And YES to filling your mind with SELF EMPOWERING thoughts and actions. We’ve been on both sides – We believe that suffering in these ways is optional, and something that you no longer have to choose. We believe that our culture’s definition of what it means to be a “good woman” in today’s world… to be “successful” is so jacked up that no wonder our INNER mean girls have gone bezerk! The truth is… You were born knowing YOU ARE ENOUGH… that WHO YOU ARE IS PERFECT… that YOU HAVE NOTHING TO PROVE… and that WHEN YOU LEAN INTO LOVING RELATIONSHIPS WITH OTHER WOMEN, AND YOURSELF, SO MUCH MORE IS POSSIBLE… without having to work so hard! On this journey, you will release habits that hold you back… and replace them with self-loving habits that propel you into the life your heart and soul desire. If you are ready to really give up these nasty habits – then you are ready for this cleanse… and as a result not only will you love yourself more, but you will have SO much more energy, time and space to create the life you really want. 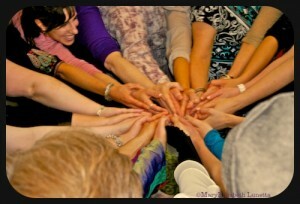 When women come together, shift happens! Only $97 for 40 Days of Self-Love and Transformation! Yes! Sign me up now, I'm ready to begin! 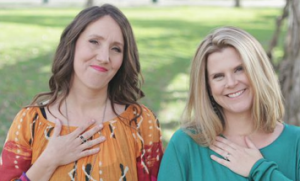 6 WEEKLY Transformation VIDEOS with Amy and Christine filled with ENLIGHTENING tools about the Toxic Habit & Your Self-Love Antidote for the week — Every week for 6 weeks, you’ll receive a personal video teaching (or audio recording) from us including our best teachings, interactive exercises, and powerful tools you can use IN THE MOMENT to shift the toxic habit we are focused on that week into self-love and self-empowerment. 6 Powerful SELF LOVE ANTIDOTES (powerful practices) for each TOXIC Habit — Get ready to blow out the old beliefs hanging out in your mind with specific exercises you can apply right in your life to transform toxic energy into loving energy. 6 Transformational Conversations with the Wisdom Makers – Each week, to keep you going strong, you’ll be able to tune into a whole lot of inspiration with one of our Wisdom Maker conversations. These Wisdom Makers are the best of the best and will fill you up with motivation to rid your life of that toxic Inner Mean Girl habit! 40 Days of Inspiration, Inquiry and Support – every day we will be WITH you, keeping you focused and on track. We will arrive in your inbox everyday at the same time, with that day’s video or inspiration – so you can keep the momentum going on this 40 day adventure no matter where you are in the world. It’s all set up, all you have to do is open the email and love yourself! 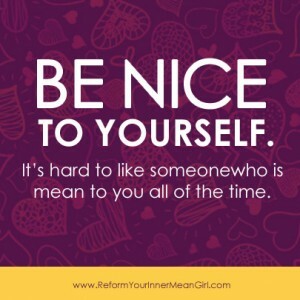 Community and connection through our online private Facebook site – only for people enrolled in an Inner Mean Girl Reform School course, you’ll get to connect with other women who are on the journey too, to get added support from us and our Inner Wisdom coaches! A one-stop website that includes every audio, video and more that you’ll need broken down by week in an easy to use format. Participants have told us that our websites are some of the best they’ve ever used in this type of program. Access to the 40-Day program forever, so you can take it as many times as you want! After the program completes, you’ll get access to a link that allows you to start and take the course anytime you want! You’ll love it! We guarantee it, or your money back. If you’re not 100% satisfied, we don’t expect, or even desire, to keep your money. Do the course for a full 30 days, and if it doesn’t create results for you, we’ll give you your money back, no questions asked. You just email us within 30 days of the start date. Can I participate even if I can’t listen to the sessions on the day I receive them? YES. All the sessions are available online, so you can download and listen to them whenever you have time. We recommend making a date with yourself on the same day each week to listen to the video sessions – call it “Sacred ME time” – and keep those dates no matter what. You will receive them on Sunday's in the northern hemisphere and on Mondays in the southern hemispheres. They run about 10 to 15 minutes in length so super easy to start your week and day with. If you have to break the date, reschedule ASAP. Self love is a practice. As a paid registrant of the 40-Day Inner Mean Girl Cleanse, you’ll have 24/7 lifetime access to all the materials. You can repeat the 40 days as many times as you want on your own. This 40-Day Inner Mean Girl Cleanse goes wherever you go! You can participate from anywhere in the world, as long as you can access your email. And even if you can’t, you can tap in when you plug back into the grid. Or you can download the live calls and listen to them on the plane (or the beach!). Then you definitely want to sign up! The 40-Day Inner Mean Girl Cleanse will show you how to put wisdom and tools into action and transform your life right now—you can have a happy life even with a busy schedule. The 40 days have been built to fit into your life, not to become another to-do. And to STOP FEELING LIKE YOU HAVE TO DO IT ALL on YOUR OWN. And OUT of your relationship with other women. We know how to do it. We’ve done it ourselves. And helped over 15,000 women do it too. 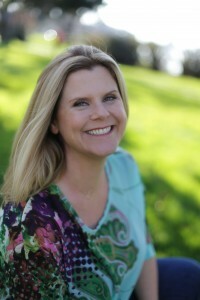 Christine Arylo is an internationally recognized inspirational catalyst and spiritual coach and the self-love author of Choosing ME before WE, Everywoman’s Guide to Life and Love and bestselling author of Madly in Love with ME, the Daring Adventure to Becoming Your Own Best Friend, as well as the co-author of Reform Your Inner Mean Girl. Christine has been dubbed the ‘Queen of Self-Love’ for her daring and groundbreaking work to make self-love a tangible reality for people around the world, including founding the international day of self-love on February 13th, often referred to as Madly in Love with ME™ Day. Christine’s opinions have aired on E! Entertainment, CBS, FOX and ABC and radio shows across the country, as well as in the Huffington Post, San Francisco Chronicle and Daily Om. A self-admitted, but recovering achievement junkie, Kellogg m.b.a. and a former marketing executive for companies like Gap, Visa and Frito-Lay, Christine is also the co-founder of Inner Mean Girl Reform School, a school dedicated to transforming people’s inner critics into their inner superheroines. When not out in the world speaking, teaching and leading transformational experiences and super fun retreats in locales around the world, Christine can be found hanging out with her soul partner Noah and their soul tribe of spectacular people in beautiful places enjoying good food, great wine and meaningful (and laughter-filled) conversation. 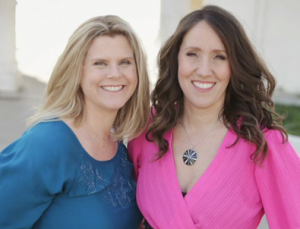 Amy Ahlers, The Wake-Up Call Coach and bestselling author of Big Fat Lies Women Tell Themselves and co-author of Reform Your Inner Mean Girl, is on a mission to wake up your Inner Superstar so you shine bright! 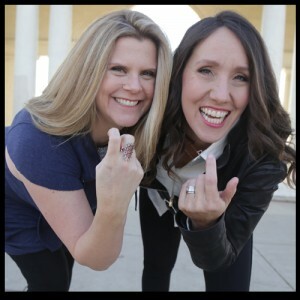 After years of being a top producing online media Sales Executive she discovered the world of coaching in 2000 and never looked back. She is an International Certified Success Coach, the CEO of Wake-Up Call Coaching, the co-founder of Inner Mean Girl Reform School and the creator of The Exposing of the Big Fat Lies Summit & The Women Masters Tele-Seminar Series, where she has spoken alongside luminaries such as Marianne Williamson, SARK, Lisa Nichols, Marci Shimoff and many more. Amy has been a featured expert on lots of TV & radio shows, and for publications like The Washington Post, The Huffington Post, and Oakland Magazine. 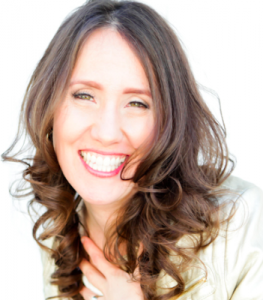 She loves lighting up the stage at retreats, conferences and conventions where she wakes people up to the voice of their Inner Wisdom and helps them cultivate the courage to act on it. Her first book, Big Fat Lies Women Tell Themselves: Ditch your Inner Critic and Wake Up Your Inner Superstar was released in October 2011 by New World Library and shot up to #1 in several categories on Amazon, including Self-Help, Happiness and Self-Esteem. A recent recipient of a Women Who Dare Award from Girls Inc., she holds a BA from the University of California, earned the CPCC (Certified Professional Co-Active Coach) designation from The Coaches Training Institute, is a Bigger Game Certified Coach, is a certified Business Coach from John Assaraf’s OneCoach, and is a Master Coach Equivalent. When not working, you’ll find Amy in the San Francisco Bay Area holding hands with her extraordinary husband, Rob, skipping down the street (or running after!) her beautiful daughters, Annabella and Evie Rose, and hiking in the hills with her rescue mutt, Batman.